FOREIGN visitor spending to the Philippines contributed an 8.2 percent share of the country’s total exports in 2015 to reach 306.6 billion pesos(US$6.6 billion), nearly doubling from the 4.3 per cent share reported five years ago. According to the 2015 Philippine Tourism Satellite Accountsreleased by the Philippine Statistics Authority (PSA), this ranks tourist arrivals as the third biggest export item last year. As propellers of GDP growth, tourism also climbed to third place,after the trade industry and real estate segment. Tourism industries employed4.98 million people in 2015. 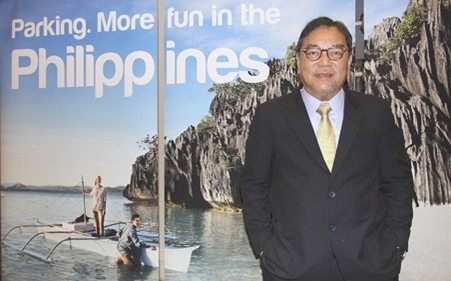 “Looking back, the positive outlook of the industry, harmoniouspublic and private partnership, a good marketing campaign and the stronggovernment support that the Department of Tourism (DoT) received allowedtourism to reach the economic heights where it is today,” commented DoTsecretary Ramon Jimenez, Jr.
Jimenez has served as tourism secretary for the last five yearsand is slated to step down next month when Wanda Tulfo Teo takes over the post.